Vacation Bible school provides a summer day camp atmosphere for students, preschool- through high school-age. Whether kids attend all day or just a few hours in the evenings, they enjoy singing choruses, making crafts, learning scripture and playing themed games. Since snacks and drinks fuel those activities, finding snack ideas that tie into the themes helps reinforce both the learning and fun. Fish-shaped snacks at vacation Bible school remind students of the ancient Roman Christian symbol of the fish traced in dirt, and can also teach about Jesus' miracle of feeding the 5,000 with five loaves and two fish. 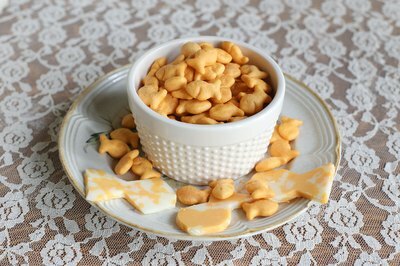 In addition to fish-shaped snack crackers and gummy candies, consider fish-shaped cookies. Cut fish shapes from cheese slices, fruit leather or vegetables, such as cucumbers and bell peppers, using small cookie cutters. Let the Old Testament story of the great flood and Noah's ark spark your imagination. 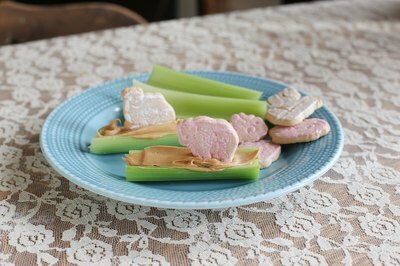 Reflect this theme for VBS children by affixing animal cookies in pairs to celery stick "boats" using nut butters. 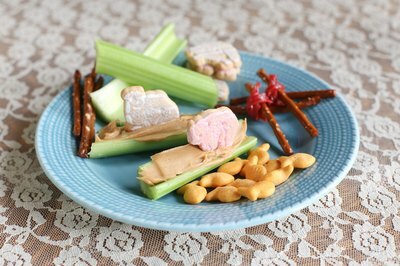 If food allergies are a concern, substitute cream cheese for nut butter. Arrange gelatin cups or candies in rows that mirror the colors of the rainbow to remind students of God's promise never to destroy the world by flood again. Carry the message of Jesus' ultimate sacrifice on the cross with snacks in the shape of that Christian symbol of redemption. 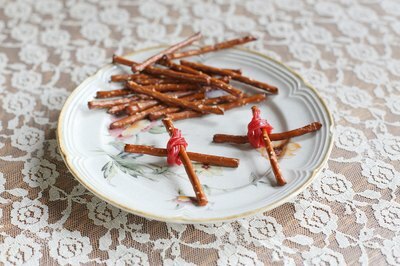 Make crosses out of crossed pretzel sticks, tied in the middle with knotted licorice rope, or dip the crosses in liquid candy melts, then allow them to harden into the cross shape. Use the dipped crosses alone, or decorate cupcakes with them using three per cake to tell the story of Christ's crucifixion with the two criminals on Calvary. Adventurous kids who attend vacation Bible school may enjoy tasting foods that their favorite Bible heroes ate. Include rustic loaves of bread or crackers, including those made with ancient grains, such as spelt or millet. 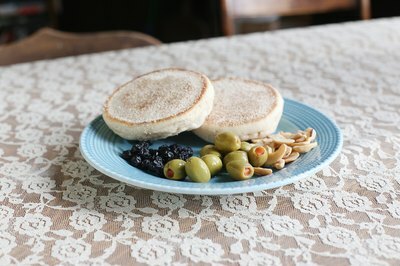 Finger foods include dried fruits such as figs, dates or apricots, and sliced olives. Slicing the olives ensures pits are fully removed for the safety of small teeth. Some students may never have tasted pomegranate seeds. Serve small scoops of the juicy fruit seeds in snack cups.